God is forever unchanging, so why would the Lord Jesus change His name to Almighty God? Each time God comes to earth, He changes His name, His gender, His image, and His work; He does not repeat His work. He is a God who is always new and never old. When He came before, He was called Jesus; can He still be called Jesus this time when He comes again? When He came before, He was male; can He be male again this time? His work when He came during the Age of Grace was to be nailed to the cross; when He comes again, can He still redeem mankind from sin? Can He be nailed to the cross again? Would that not be to repeat His work? Didn’t you know that God is always new and never old? There are those who say that God is immutable. That is correct, but it refers to the immutability of God’s disposition and His substance. Changes in His name and work do not prove that His substance has altered; in other words, God will always be God, and this will never change. If you say that the work of God is unchanging, then would He be able to finish His six-thousand-year plan of management? You only know that God is forever unchanging, but do you know that God is always new and never old? If the work of God is unchanging, then could He have led mankind all the way to the present day? If God is immutable, then why is it that He has already done the work of two ages? His work never ceases to move forward, which is to say that His disposition is gradually revealed to man, and what is revealed is His inherent disposition. In the beginning, God’s disposition was hidden from man, He never openly revealed His disposition to man, and man simply had no knowledge of Him. 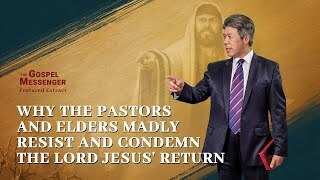 Because of this, He uses His work to gradually reveal His disposition to man, but working in this way does not mean that God’s disposition changes in every age. It is not the case that God’s disposition is constantly changing because His will is always changing. Rather, it is that, because the ages of His work are different, God takes His inherent disposition in its entirety and, step by step, reveals it to man, so that man may be able to know Him. But this is by no means proof that God originally has no particular disposition or that His disposition has gradually changed with the passing of the ages—such an understanding would be erroneous. God reveals to man His inherent and particular disposition—what He is—according to the passing of the ages; the work of a single age cannot express the entire disposition of God. And so, the words “God is always new and never old” refer to His work, and the words “God is immutable” to what God inherently has and is. Regardless, you cannot make the work of six thousand years hinge upon a single point, or circumscribe it with dead words. Such is the stupidity of man. God is not as simple as man imagines, and His work cannot linger in any one age. Jehovah, for example, cannot always stand for the name of God; God can also do His work under the name of Jesus. This is a sign that God’s work is always moving in a forward progression. God is always God, and will never become Satan; Satan is always Satan, and will never become God. God’s wisdom, God’s wondrousness, God’s righteousness, and God’s majesty shall never change. His essence and what He has and is shall never change. As for His work, however, it is always progressing in a forward direction, always going deeper, for He is always new and never old. In every age God assumes a new name, in every age He does new work, and in every age He allows His creatures to see His new will and new disposition. If, in a new age, people fail to see the expression of God’s new disposition, would they not nail Him to the cross forever? And by doing so, would they not define God? Some say that the name of God does not change, so why then did the name of Jehovah become Jesus? It was prophesied of the coming of the Messiah, so why then did a man by the name of Jesus come? Why did the name of God change? Was not such work carried out long ago? Cannot God this day do a new work? The work of yesterday can be altered, and the work of Jesus can follow on from that of Jehovah. Cannot then the work of Jesus be succeeded by another work? 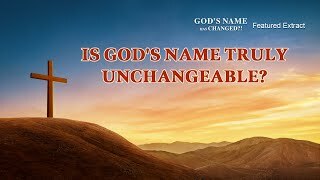 If the name of Jehovah can be changed to Jesus, then cannot the name of Jesus also be changed? This is not unusual, and people think so[a] only due to their simple-mindedness. God will always be God. Regardless of the changes to His work and His name, His disposition and wisdom remain forever unchanged. If you believe that God can only be called by the name of Jesus, then you know too little. Do you dare assert that Jesus is forever the name of God, that God will forever and always go by the name of Jesus, and that this will never change? Dare you assert with certainty it is the name of Jesus that concluded the Age of Law and also concludes the final age? Who can say that the grace of Jesus can conclude the age? Next：Isn’t belief in Almighty God a betrayal of the Lord Jesus? Isn’t this apostasy? As long as you eat and drink God’s words, no matter what your surroundings are, your spirit is especially pleased, nor are you bothered by the people, events, or things around you. When you normally contemplate God in your heart, what goes on outside cannot bother you. This is what it means to have stature. Why does God hate and curse the religion? How did the Lord Jesus say it? “Woe to you, scribes and Pharisees, hypocrites! … Woe to you, scribes and Pharisees, hypocrites!” (See Matthew 23: 13-33). …All of God’s words are to be understood by men. We see through the hypocritical substance of the Pharisees, and God says “Woe to the Pharisees,” and with that we say “Amen,” and we obey. What is the difference between an honest person and a deceitful person? To be an honest person, what should one possess? His words and deeds must allow others to benefit, he should not be self-centered, but consider others most of the time. ...God loves honest people, because in believing in God honest people love the truth, and can practice the truth; thus the Holy Spirit works on them. ...Why does God despise crafty people? What are the degenerate behaviors of crafty people? What is their nature and essence? ...So crafty people’s core essence is self-centeredness, seeking fleshly enjoyment for themselves, not caring about the feelings of others. “But of that day and hour knows no man,” these words mean that no man knows the moment of Christ’s coming. But when Christ has come it will certainly be known by men, because the purpose of God incarnate coming among men is to save men. If He comes and does not let men know, then how can men gain salvation through Him? Isn’t belief in Almighty God a betrayal of the Lord Jesus? Isn’t this apostasy? In the Bible it says, there is none other name under heaven given among men, the only Savior is Jesus Christ, the same yesterday, and to day, and for ever. But today why do you believe in Almighty God? It’s written right there in the Bible: “Jesus Christ the same yesterday, and to day, and for ever” (Heb 13:8). So the name of the Lord never changes! But you say that when the Lord comes again in the last days He will take a new name and will be called Almighty God. How do you explain it? The Lord Jesus was nailed to the cross as a sin offering for man, thereby redeeming us from sin. If we stray from the Lord Jesus and believe in Almighty God, would this not be a betrayal of the Lord Jesus? Would this not be apostasy?